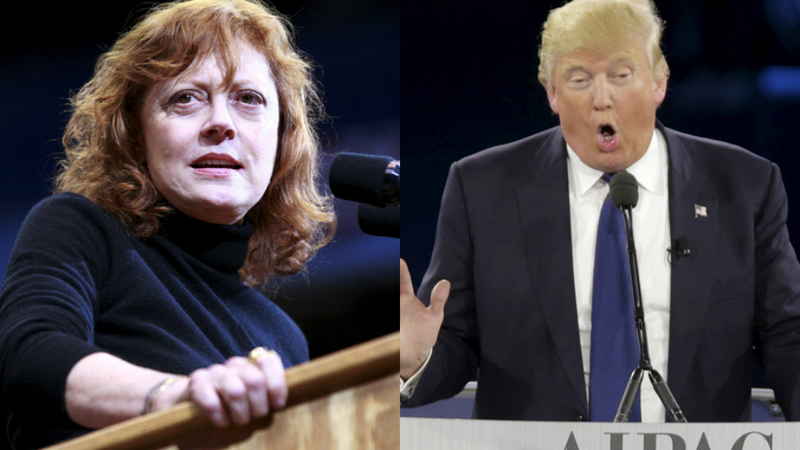 Liberal actress Susan Sarandon may back Donald Trump if Bernie Sanders doesn’t beat Hillary. “Actress and Bernie Sanders supporter Susan Sarandon said late Monday that she isn’t sure that she would vote for Hillary Clinton over Donald Trump if the two front-runners face each other in the general election. During an interview on MSNBC’s “All in with Chris Hayes,” Sarandon criticized the former secretary of State for stances that go against progressive ideals. 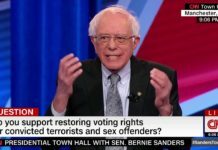 She added that some Sanders supporters would have a hard time bringing themselves to vote for her in a general election. “I don’t know. I’m gonna see what happens,” she responded. Hayes then asked her if she thought that it would be dangerous to allow Trump to become president.